All week, Masters Class competitors John Grewe and Barry Carsten have provided amazing battles, running side-by-side sometimes for entire laps throughout their 40+ and 50+ motos. In the final 50+ moto, it finally went too far when they hit in a corner and Grewe went down. The two had shaken hands after each moto, but Grewe was heated after this one. “That was unnecessary,” Grewe said while taking the 50+ number-one plate. “He knocked me down and he didn’t need to. Even if he won the moto, I could still win the title by getting second. Now my thumb is broken. I know it is and I have a 40+ moto to run later today.” Carsten saw it differently, saying he took the same inside line on every lap, and Grewe moved to the inside and created the collision. The forever-gnarly Mike Brown dominated the 40+ division, but he had his hands full in 25+ with two-time class champion Ricky Renner. Whichever rider won the third moto would win the title, and they went at it. Renner caught Brown, so Brown started running all inside lines to force Renner to take the long way around. At least four times, Renner appeared to have the pass made, but the cagey Brown managed to hold him back each time—he even resorted to contact on the last lap. Renner understood that, though, and said he would have done the same. Brown collected the win and headed straight to the cool down area, and Renner followed him over and gave him a hug. “I was going to shake his hand, but I was so tired I needed someone to hold me up!” Renner joked. Also, a shout-out to Kenny Day, who is team manager for the Traders Racing Yamaha team, and won the Vet 30+ title. “My job is more of a manager’s role, but when this opportunity came up, the team let me chase my dream, and I’m thankful for that,” Day said. In 125 C, Tristin Moffit was looking at 1-5-3 scores to wrap up the championship with ease until he crashed on the last lap in the sand. His front wheel locked up and he could not get going, taking a DNF when the title was a half-lap away. This is the classic heartbreaker at Loretta’s. Jagger Koch ended up going 7-2-1 for a comeback title-clincher. With Derek Drake, Mitchell Falk, Seth Hammaker, and Tanner Stack all within a point heading into moto three, the 250 A Championship was a guaranteed thriller. It lived up to that hype. Drake holeshot but bobbled in a rut, and Hammaker and Falk shot past him. Then they almost smashed into each other in the air over a triple. They charged into the sand wide-open, and Hammaker crashed and brought Falk down with him. Drake sailed by to regain the lead and held on from there to take the 250 A Championship. Later, in Open Pro Sport, Drake didn’t have to win the moto to win the title. He led most of the way, but Hammaker was relentless trying to get around him and finally made the pass with two to go. Drake held on for the title. By sweeping both A classes, Drake will make for an easy pick with the AMA Nicky Hayden Horizon Award. 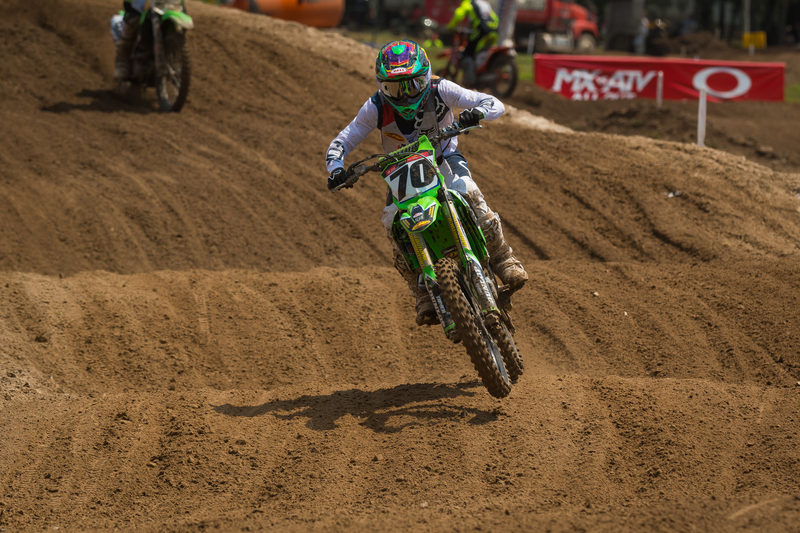 The story in the 250 B and Schoolboy classes had been the same all week. Jalek Swoll was crazy consistent, and Pierce Brown was crazy fast. 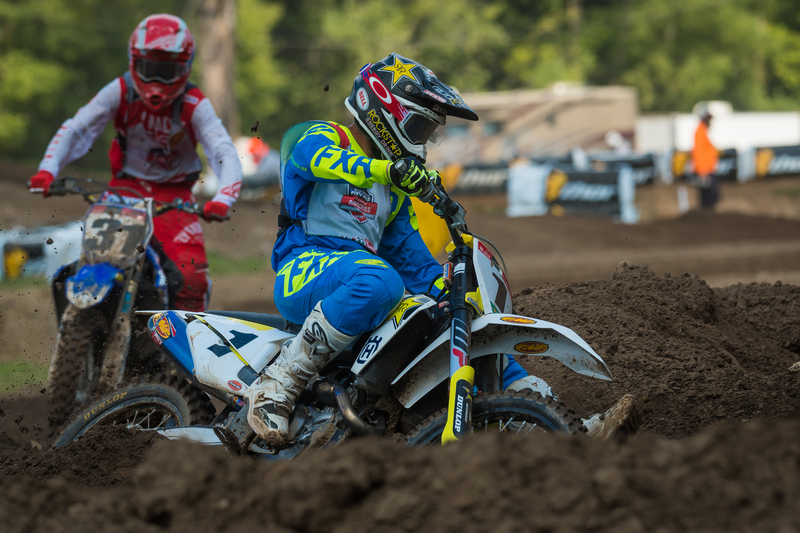 Consistency, as usual, won out with titles, and Swoll grabbed both number-one plates for his Rockstar Energy Husqvarna team. Brown set the fastest laps of the week, and his final moto, when he leaped past Swoll on a jump, was scintillating. 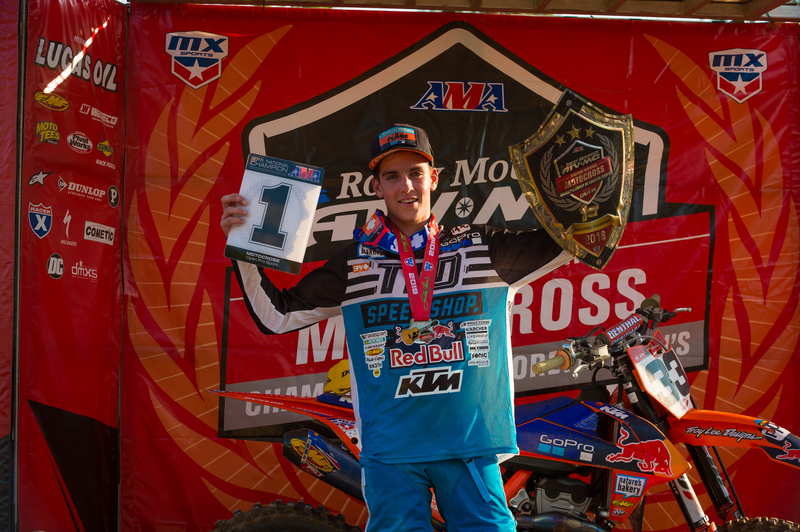 But Brown hit the ground multiple times throughout his motos and will go home titleless, while Swoll will be a cinch for AMA Amateur Rider of the Year honors.